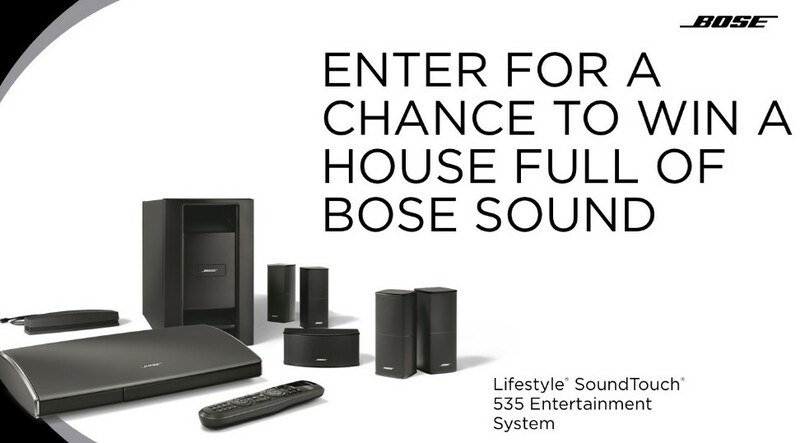 Bose wants you to enter once for a chance to win a house full of Bose sound, their Lifestyle SoundTouch 535 Entertainment System and other great audio electronics! One (1) Grand Prize: A Bose Lifestyle SoundTouch 535 home entertainment system, plus a Bose SoundTouch 30 Series III wireless music system, a Bose SoundTouch 20 Series III wireless music system, and a Bose SoundTouch 10 wireless music system. Approximate retail value of Grand Prize is $4,550US. This Sweepstakes ends on 06/05/16 and you can ENTER ONCE to win.